Dr. Roger H. Koslen at Roger H. Koslen D.D.S., P.A. has been expertly handling the oral health needs of patients in the Naples, Florida, area for over 20 years. At his practice, he specializes in general and cosmetic dentistry, as well as facial aesthetics. Dr. Koslen is a graduate of The Ohio State University’s College of Dentistry and University of Southern California’s School of Dentistry. He was in private practice in California and Texas before moving to Naples and establishing his practice in the area in 1997. Patients turn to Dr. Koslen for a host of dental needs, such as decaying or missing teeth, orthodontics, teeth whitening, and even anti-aging treatment. He’s a skilled provider of BOTOX® and Juvederm®, in additional to implant dentistry, crowns, and Invisalign®. Giving patients an improved, more youthful appearance — whether it’s through aesthetics or a gleaming, new smile — can uplift a patient’s spirit. Dr. Koslen is passionate about seeing his patients’ outlook on life change for the better as a result of treatment. Sharpening his skills and knowledge base in the field of dentistry is always a professional objective for Dr. Koslen. He consistently seeks out continuing education and has lectured extensively and appeared on numerous television programs. In the past, he has even received honors due to his work in implant dentistry. 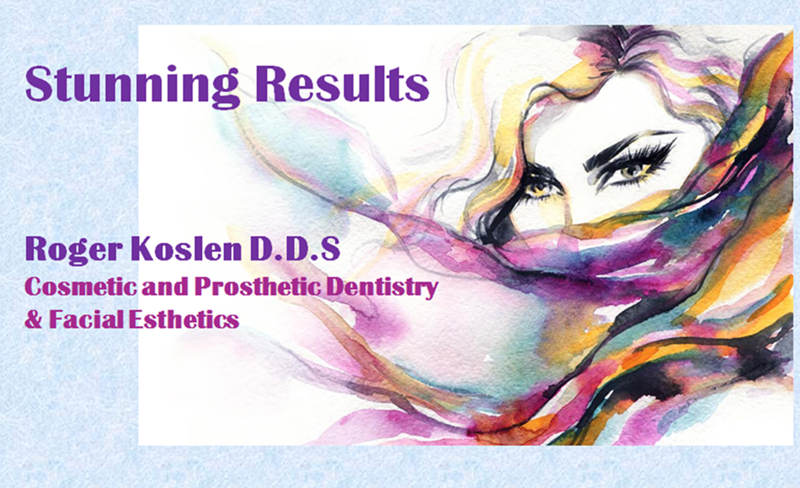 Outside of his professional practice, Dr. Koslen holds membership with several prestigious industry associations, including the American Dental Association, the Florida Dental Association, the West Coast District Dental Association, the Collier County Dental Society, and the American Academy of Facial Aesthetics. He is also a member of the N.A.P.L.E.S. Group. For quality dental care and to obtain the smile you’ve always dreamed of, call the office or schedule an appointment with Dr. Koslen online today. Note: If this is your first time logging into the Patient Portal, please call the office at (239) 594-8108 to get your initial access email. Each insurance case is individual and must be inquired. Please contact the office for more information regarding insurance. "I've been going to Dr. Koslen's now for a number of years and can I just say his work is absolutely amazing!" "Dr. Koslen has a wonderful staff and he is a great dentist. I've been looking for a dentist for years and now found the perfect one. 100% satisfied." "Wonderful and friendly staff. Dr. Koslen knew exactly what I needed. I love my new teeth and was able to use my dental insurance. I highly recommend him." "I can't say enough good things about Dr. Koslen's practice and staff, and the professionalism they all uphold. Thank you Dr. Koslen!! I LOVE my new smile!" "Dr. Koslen is great. A very good dentist with an excellent staff. Good location and very friendly. I highly recommend." "Dr. Koslen was awesome, as well as his assistant, Caroline. I broke a tooth and they got me in right away. I highly recommend." "I have been going to Dr. Koslen's now for a number of years and can I just say his work is absolutely amazing!" "I have been a patient of Dr. KOSLEN for years. The new staff is doing a great job of carrying on the high standard of care the office is all about." "Everyone is wonderful at Doctor Koslen's office." "Very through. Clean office very friendly. Never expected the phone call from Dr Koslen last night. Very good touch. Thank you"
"In and out, no waiting , always convenient. Upfront with services and what needs attention. No pressure to get into a service or for work." "Wonderful check up and cleaning. Very thorough, caring, and excellent information on how to take better care of my teeth. I have gone to Dr. Koslen for over 10 years." "I have been a patient of Dr. Koslen for 10 years and have had numerous dental hygienists clean my teeth. Kathleen is very gentle and an asset to Dr. Koslen's team." 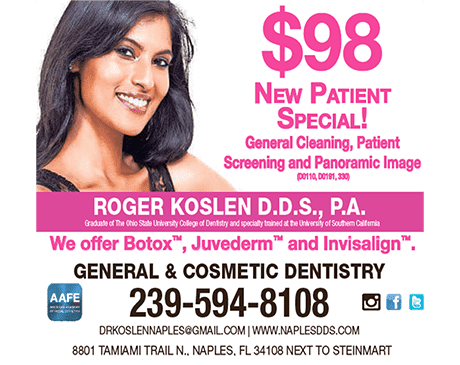 "Dr. Koslen is an outstanding dentist! He is willing to go above and beyond to make sure all of his patients are well taken care and comfortable."